Entertainments such as Her, Westworld, and Ex Machina have perhaps softened us to the notion that we will one day live among emotionally aware machines. Or rather, artificial intelligences. Self–described futurist Richard Yonck wants to persuade us that the next step in human evolution is “the ability of computers to recognize, respond to, and even replicate emotions.” And yet the first two items on his list are old hat and the third, at least in terms of computerized speech, are fairly well along. This is the overarching problem with Yonck’s book: it repeatedly presents decades’ old research as if it were new. 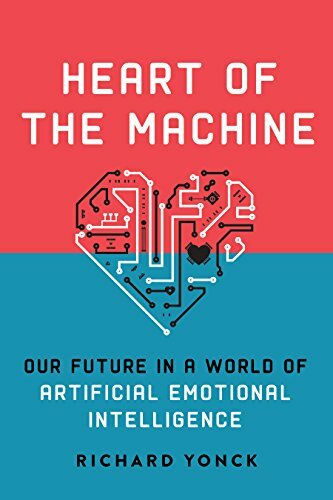 Page one, for instance, promises to enlighten readers to “a relatively new branch of artificial intelligence known as affective computing.” But the seminal book that introduced the term was published in 1997 by Rosalind Picard of MIT’s Media Lab, and in her many earlier papers. Equally odd are 1994 references to Antonio Damasio’s somatic marker hypothesis, and the citation of research by the long–deceased Clifford Nass of Stanford. The book takes many pages to get up to speed, and in the effort rambles all over the place, a sure sign that the author does not know who his audience is. The work could have benefited from an editor and saved the reader from being bogged down by numerous tangents and minutiae. Factually incorrect, if not absurd, statements pepper the text, such as, “we continue to find it a challenge to define or even to account for [emotions].” Assumptions have no basis in science. He particularly makes a big deal of pre-linguistic, practical knowledge, calling it “fantastic” –– as if physical know-how were somehow inconceivable in the absence of language. The future projected by the futurist Yonck sounds too much like the world of the Jetsons. Which begs the question: Why are futurists so often wrong, and why do we listen to them given their poor track record?